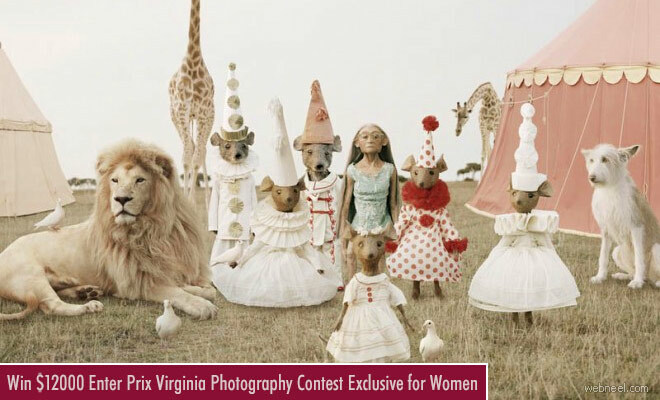 Photography Contest : Prix Virginia is a photography competition which invites all women professional photographers across worldwide, regardless of age to participate in its annual contest. Contestants can submit one application with 10 - 12 photographs(black/white and color) along with a short description of the photographs. There is no entry fees. Here is your chance to bag $12,000 as cash prize and international recognition. The winners will be announced during a presentation ceremony held at Paris in October 2018. - 12,000$ from the Association SYLVIA S, for the winner. - An Exhibition in Paris for the winner with Central Dupon Images support. - A Carte blanche for a Portrait de Ville edited by Be-Poles editions for the winner or one of the 10 shortlisted photographers.